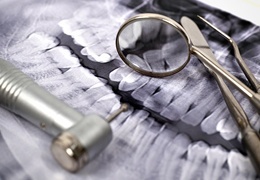 Finding a kind, skilled dentist who offers all the services you want from an oral healthcare professional can be challenging. Fortunately, residents of Pikeville, KY are just a short drive away from one of the best dentists in the area. We warmly invite you to discover how Dr. Bryan Griffith and the rest of our team can care for your teeth in a way that always leaves you smiling. 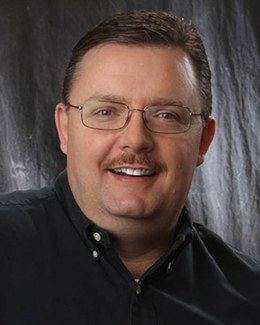 After a sterling academic career, Dr. Griffith earned his DMD from the University of Kentucky College of Dentistry in 1993. Since then, he has continued his education every year by taking numerous courses in advanced dental techniques. Some of his specialized training has furthered his understanding of restorative techniques, cosmetic services, dentures, implants, and occlusal equilibrium. Dr. Griffith has a reputation for being friendly and kind, but those traits aren’t only the things he uses to help people overcome their dental anxiety. Brookside Dental Care is one of only a few offices in Kentucky with a facility permit to offer oral conscious sedation (OCS). OCS is a safe and effective way to help even patients with extreme fears to stay relaxed throughout their time in our office. Dr. Griffith works alongside a talented team of office professionals, dental hygienists, and dental assistants. Elizabeth, our practice manager, is a registered nurse with special training in OCS and dental implants. Rita and Annie are the ladies who will help you schedule your appointments and take care of financial issues. Jennifer and Melissa are the hygienists who will help you achieve optimum oral health and bright clean teeth. Sarah, Trista and Katie (who is also a dental hygienist) are the dedicated dental assistants who keep you informed and comfortable. All of our team members have years of experience (some of them have been in dentistry for over 20 years), and they are all focused on promoting the well-being and comfort of our patients. We are conveniently located on Wrights Lane in Prestonsburg. To get to our office from Pikeville, simply travel North-West approx. 19 miles on US-23 towards Prestonsburg. Take the Martin/Hazard exit and keep right onto Ramp towards KY-80/KY-302. At the Red light turn Right. Travel 1.3 miles. Turn right onto Wrights Lane. Immediately turn Left into our parking lot. If you have any questions about how to find us, simply give us a call, and we’ll make sure you’re headed in the right direction. 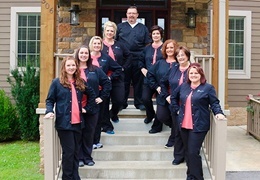 Dr. Griffith and the team at Brookside Dental Care are happy to care for patients from Pikeville. Why not visit us to discover why so many of our patients are willing to travel from surrounding communities to receive our top-tier dental services?